So different and so delightful! This Christening Cake will truly make the day special. 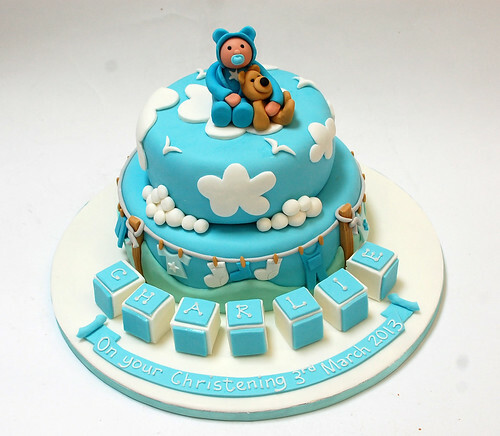 The Cute Baby Christening Cake – from £90. Thank you so much for Charlie’s ‘Cute Baby’ Christening cake. As always you have totally understood what I was after & exceeded my expectations! Everyone admired the design & it was so delicious there isn’t much left. It really made the party, thank you so much.